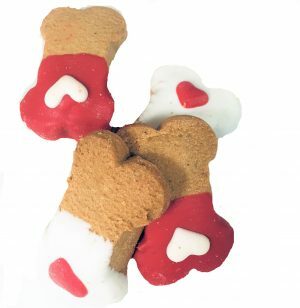 Valentine Boxed Dog Cookie Treat - Yankee Golden Retriever Rescue, Inc.
Every dog deserves a great tasting cookie treat for Valentine’s Day! 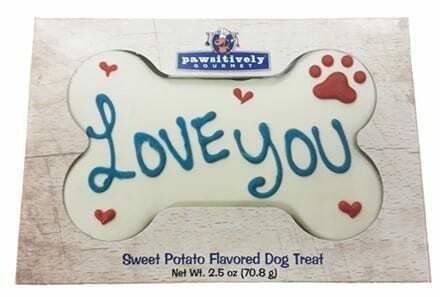 Made with real sweet potato and hand-decorated with yogurt and carob. This is a large 6″ cookie, gift boxed and ready to give!